Interior design for your business. Playing with scale and proportion within our commercial and hospitality spaces is the beginning of our conceptual process. We love to bring art into these spaces in innovative ways and proportions, while meeting the functional requirements of the spaces. 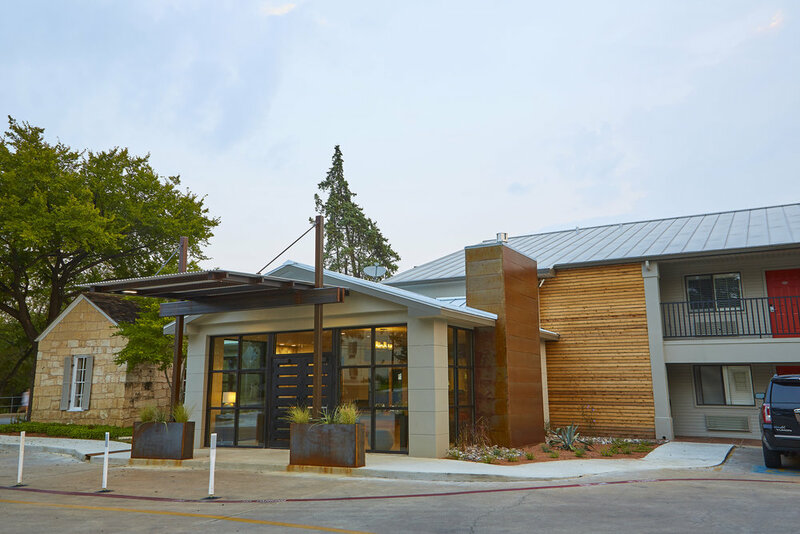 We work in tangent with the team of architects, contractors, and our clients to provide outstanding spaces that inspire people to linger and enjoy the spaces. Individuality and personalized branding or re-branding of commercial spaces is a key component in our work. The transformation of this motel into a boutique property has been one of our favorite mountains to climb. The property had many components. A historically listed building, 2 conference buildings, and 4 buildings of guest rooms all constructed at various times. We created a unified concept for the guest room and improved the lighting, space plan and function, while updating the finishes to reflect the Texas Hill Country and provide an upgraded comfort level for guests. 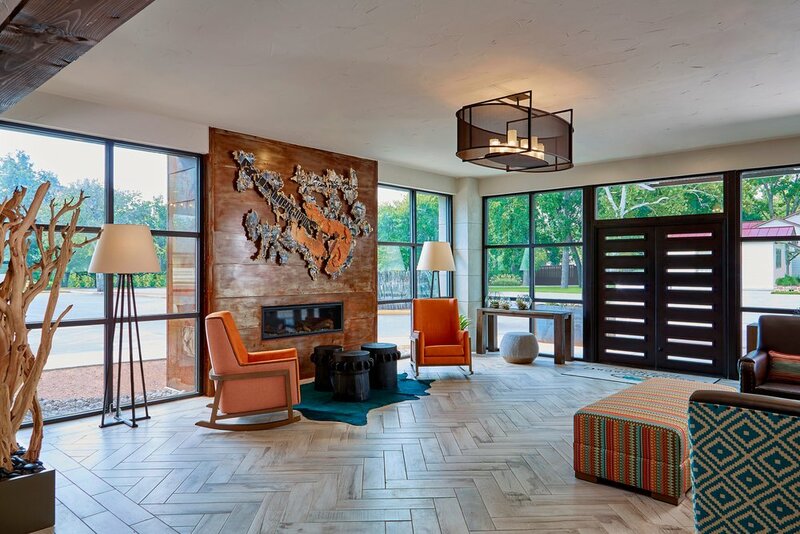 The lobby was expanded to create gathering spaces for the guests which gave us an opportunity to design a focal art piece in the lobby that truly brands the property. The journey was almost 2 years from planning to completion, but every twist and turn was addressed and resolved within our team of owners, contractors, and designers.